Since I post here on Thursdays, I decided to use my November (aka NaNovember) posts to give all you NaNo writers some fun plot points, characters, and other to incorporate into your works-in-progress if you get stuck or fall into a writing slump. For Week Five (and the last day of NaNo! ), find the ending associated with your horoscope sign* and use it, subvert it, or incorporate it elsewhere into your book! Aries: Everyone becomes friends and they ride off into the sunset together. Taurus: Your main character kills your antagonist, but not before your antagonist reveals their plot/intentions. Gemini: Your main character and their love interest get married. Cancer: Your main character gets an exciting job offer. Leo: A cliffhanger. Any cliffhanger. Virgo: Your antagonist changes their ways and decides to become a better person. Libra: Your protagonist goes back to their former life, but with different interests/desires. Scorpio: A major character dies, and it's arguably your protagonist's fault. Sagittarius: Someone has a baby. Capricorn: Someone almost dies, but is saved at the last moment. Aquarius: Your main character decides to be alone for a while. Pisces: A dragon eats both your protagonist and antagonist. *Note: I have no training or expertise with astrology. This is purely for fun! #In5Words Honor yourself and honor others. 2- Will you continue doing audiobook narration? Absolutely I will continue doing audiobook narration! That has allowed me the resources to publish my book the way I wanted. I plan to narrate for at least the near future. 3- Did you learn something new about audiobook narration from your new writer point of view? Or have you approached writing differently thanks to your narration skill? I think I’ve always been best as a narrator when I perform the book as if I wrote it. That sort of ownership is essential when you take on the telling of any story. In terms of writing, I’ve gained a much deeper appreciation for how a book SOUNDS when read aloud. Rhythm, pacing - that all clicks into place. If the book can’t be read aloud easily and fluidly, you need to edit more. 4- Can you share a story from your life that shows who you are as a person and why you are a writer? A brief tale: I was obsessed with Star Wars as a kid; that was my first introduction to another UNIVERSE that someone else had created. So the first story I ever wrote was a total take-off on Star Wars. I think I even called it “Space Battles.” (I was in 3rd grade; give me a break.) It was literally a Luke vs Darth Vader story with different names, but somehow I knew I wasn’t just doing it for fun. I was starting to explore taking a world I loved and making it my own. I never finished that story, nor any other, until The Tercentennial Baron. 5- What ignited your passion for writing? Reading other stories I loved AND watching movies. Probably movies even more! Just look at my previous answer. I knew as a young kid I wanted to create other worlds that people would want to be a part of. 6- What made you want to write a historical fantasy? I love history, and I love fantasy. It really was that simple. I haven’t even read much historical fantasy, but to me history is a kind of fantasy in itself, because it concerns other worlds that have now fallen away - where lives were totally different - and yet parts of them still remain with us today. That, to me, is kind of magical, and the perfect set-up for a mystery. 7- Would you share a picture with us of a view of Scotland? 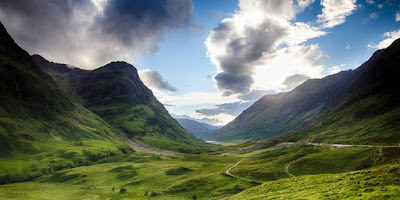 Glen Coe - one of my favorite parts of Scotland, with some of the most dramatic scenery. My fiancee and I hiked through there and fell in love with it. Short term, I want to reach the point where I can make a living solely on my writing. By which I mean, my own original stories - not writing on assignment. Long term, I want to expand my repertoire of written work to many different series, not just the Bellirolt Chronicles. I want to create a variety of different worlds that fans can explore, so many different kinds of readers can enjoy my work. 9- Who is currently your biggest fan? What does that person love most (or "ship") about your debut novel? Oh boy… I’m sure it’s a toss-up between my mother, my sisters, and my fiancee. How do you measure such a thing? They each appreciate different things about my work. But I think one thing they can all agree on is they feel very connected to the journeys of the characters in the book. And they can’t wait to read more about them. 10- Have you ever used a sword, perhaps while acting? 11- What emotions do you hope your book will evoke for the reader, and is there a particular scene you hope will resonate with readers? There are many scenes I hope will resonate, but I don’t want to give any of them away! As for emotions, I hope readers feel fear for the danger the main characters find themselves in, curiosity to discover the truth, and the chilling sense of awe that comes as that truth is revealed. Learning to pursue revealing the story, not creating the story. I can create lots of things, but only one in a hundred of them will really serve the story and the characters. Once I learned to view the story as something to be discovered, all the pieces of it finally fell into place. 13- What is the most memorable trait or visual oddity of one of your characters? I would say the Baron’s green eyes. It’s never explained why his eyes have a tendency to glow a vibrant jade green, but they are what has marked him throughout history. And of course, eyes are the windows to the soul, and the Baron has quite a tortured soul. 14- #DiversityBingo2017 What's your favorite book that covers a square on the card? I am forever a fan of Toni Morrison’s “Song of Solomon”, as it had a tremendous effect on me when I read it in high school. And that certainly fits with Author of Color, Biracial, Black, and Person of Color on the Cover. 15- Which character has your favorite Personality Contradiction? I can think of many personality contradictions in the Baron’s character, but I think my favorite is in the character of Granny McGugan. She protects the young hero, Percival (her grandson), by being exceptionally manipulative and tyrannical toward him. It’s all based on her deep desire to shield him from harm, but it manifests itself as outright cruelty sometimes. 16- Can you think of any small change in the world you could make to benefit hundreds of other authors or readers potentially? Honestly, I don’t think I know enough about the business to answer that yet. At the moment, the change I’m focused on making is introducing my book to the world, and I think that every enjoyable story encourages more people to read, to talk about it, and even to add their own contributions. And the more people are contributing, the more involved and connected we all feel. I am most motivated by the description on the back cover, and if a trusted friend or two shares their passion about the book beforehand. If a friend can sell me on it (and I’m pretty skeptical by nature), I will probably check it out. 18- How will you measure your publishing performance? Number of books sold, and the responsiveness of fans to the books (as in, they share it with others, they say they want to see more, etc.). 19- What was the deciding factor in your publication route? I had been thinking about self-publishing for a while, as I was submitting the book to agents and editors. When I finally hit my 75th rejection, I decided to stop giving the traditional publishing world a chance, and take on the project as my own business. I was very attracted to the amount of control I could have over the final product compared to what I would be afforded as a debut author with an established publisher. 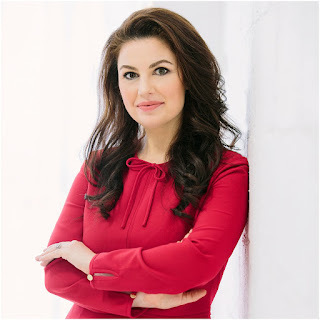 20- What is one question (or discussion topic) which you would like the readers of this interview to answer or remark on in the comments? How do you most often discover new books that you HAVEN’T heard about from friends? Examples could be ads (online, in magazines, on billboards…), reviews by a particular blogger, reviews in a particular magazine, recommendations by your favorite authors, etc. 21- Anything else you would care to share about your book and yourself? I would love to share this one review that AudiobookDJ posted a few weeks ago - it was actually the first review the book received! 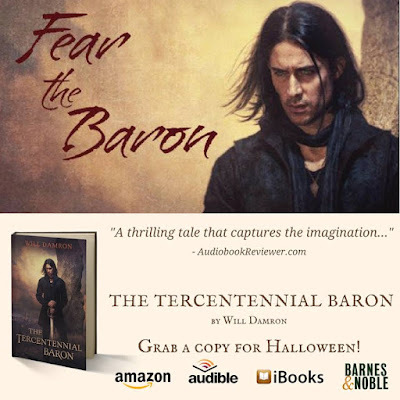 Based on the overwhelming positive response the print version has received on Amazon, I don’t think this experience is unique to people listening to the audiobook, though you should certainly check that out if you like audio! 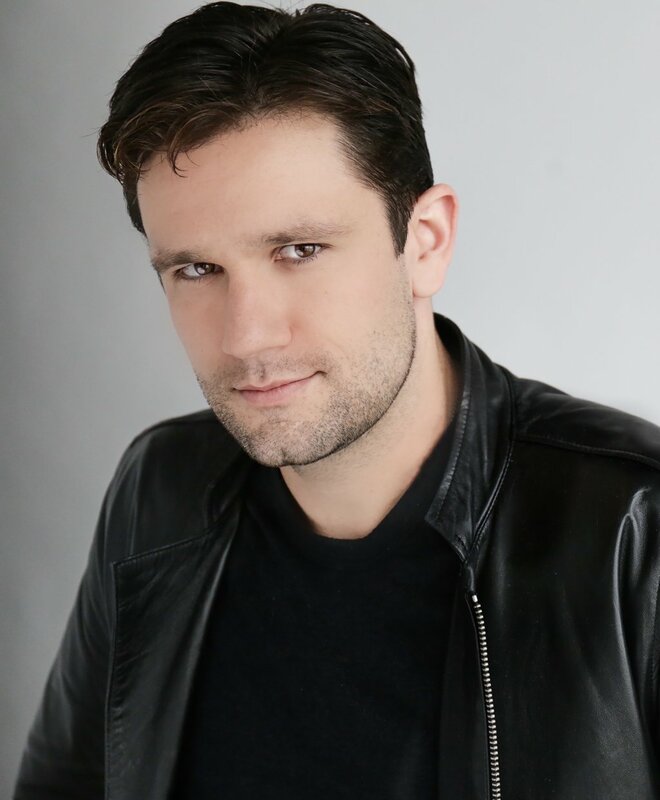 As for more about me, I am an audiobook narrator with over 200 titles recorded in the last few years, in genres ranging from fantasy to sci-fi, YA, literary, nonfiction, and thrillers. I have won an Audie Award (one of the highest honors in the audiobook business), two Voice Arts Awards, and numerous Earphones Awards. “The Tercentennial Baron” is my debut as an independent author, and it’s a story I’ve worked on since before I became a narrator. If you enjoy fantasy, the supernatural, Scotland and Scottish history, sweeping epics full of mystery, or even just spooky ghost stories, I really believe you’ll love this book. You can find me on social media on Twitter @jwdamron, Instagram @jwdamron, and Facebook @Damron.Stories. Feel free to check out my website as well - http://www.willdamron.com - though it’s undergoing renovations right now and a brand new one will be going live within a few weeks! It's November. It's NaNoWriMo. I'm an ML this year. I got revision notes back from my agent last month that I'm still working on. My husband is completely renovating our living room, right before we have a bunch of family in town for Thanksgiving. Something's gotta give, and this month it's new content for Operation Awesome. So I've picked through some of my old posts and picked out a few to feature this month. This one is just for fun. It's on using punctuation correctly to convey tone. Since I post here on Thursdays, I decided to use my November (aka NaNovember) posts to give all you NaNo writers some fun plot points, characters, and other to incorporate into your works-in-progress if you get stuck or fall into a writing slump. For Week Four, find the meal associated with your horoscope sign* and incorporate it into your book! Aries: An all-vegetarian dinner with a bottle of root beer. Taurus: Cheeseburgers, french fries, and avocado milkshakes. Gemini: Spaghetti with ketchup instead of marinara sauce. Cancer: Three bottles of wine. Leo: Steak, potatoes, and 100-year-old scotch. Virgo: Fried fish, coleslaw, and champagne. Libra: Cereal and unpasteurized milk. Scorpio: Banana bread, chili con carne, and oysters. Sagittarius: Cans of beer, ice cream, and edible flowers. Capricorn: Thanksgiving dinner, but with quail instead of turkey. Aquarius: Hot tea and basil sorbet. Pisces: Hummus and pita, tomato juice, and Boston Cream Pie. 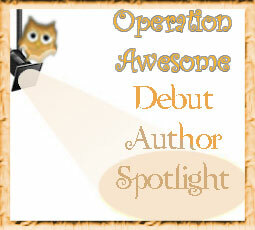 The Debut Author Spotlight will return next week. 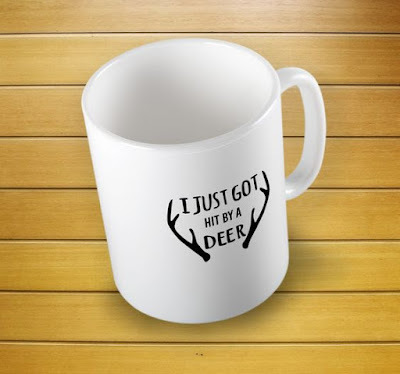 J has been hit by a deer. Today I'm revisiting one of my favorite topics: Query letters! This post isn't about how to write query letters, but when to write query letters. Lockwood & Co. TV Series! 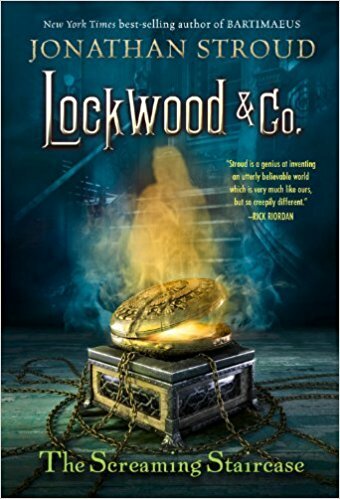 I am so excited to find out that my favorite series, Lockwood & Co., is hopefully going to be turned into a TV series!!! Which always brings about all the questions of how well it will be done. Will they stay true to character descriptions? Take Lucy, our main character. She's described as a bit thick about the hips, and not exactly pretty. So will a blond, skinny starlet then be cast? I hope not! Lockwood is tall and slim. George is chubby, and really likes cake (me too). Then there's the world-building, which is fabulous. Will we see that woven into the series? Will there be references to how the Problem (ghosts after dark) has affected the entire country, and to the earliest agents (ghost hunters) that fought them? And the profitable industries that have bloomed because of the Problem (iron & lavender- ghosts can't stand either of them)? Will we see the different agencies that employ children to fight what adults can't see? Will they be in their snazzy uniforms (I need those snazzy uniforms, I really do). And how will the ghosts be portrayed? Truly creepy, or cheesy? So lots of questions!! If you haven't heard of Lockwood & Co., I encourage you to check them out! Right away! Go do it! Since I post here on Thursdays, I decided to use my November (aka NaNovember) posts to give all you NaNo writers some fun plot points, characters, and other to incorporate into your works-in-progress if you get stuck or fall into a writing slump. For Week Three, find the cliche associated with your horoscope sign*, flip it or subvert it or do something entirely unexpected with it, and go to town! Aries: A prince saves a princess from a dragon. Gemini: Your antagonist is a mustache-twirling, cardboard villain. Virgo: Your book starts with your main character waking up. Libra: Your main character described themselves while looking in a mirror. Scorpio: Your main character succeeds at everything they try. Sagittarius: Every person your main character encounters falls in love with them. Capricorn: Your main characters has at least one absent or neglectful parent. Aquarius: Your main character has a dream with clear symbols that guide them through the rest of the plot. Pisces: Your main character has no flaws and makes no mistakes. If you are stuck while doing NaNo (or just stuck at all, whatever), get the brain juices flowing by doing personality tests for your characters. 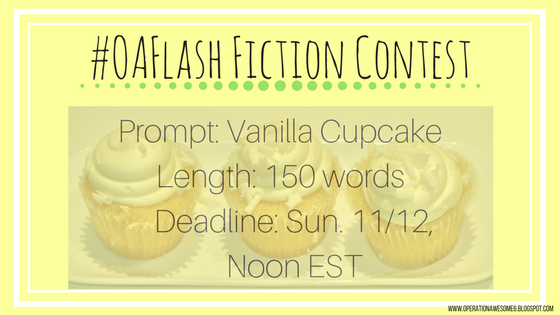 Submit your flash fiction piece about a vanilla cupcake in 150 words or less for a chance to win! Rules found here. Since I post here on Thursdays, I decided to use my November (aka NaNovember) posts to give all you NaNo writers some fun plot points, characters, and other to incorporate into your works-in-progress if you get stuck or fall into a writing slump. For Week Two, find the new character associated with your horoscope sign* and go to town! Aries: A young child with a too-large backpack. Taurus: An elderly couple who finish each others' sentences. Gemini: A woman who's the president of her company. Cancer: A middle-aged man with an unusual hobby. Leo: A teenage boy with a talent he's often mocked for. Virgo: A dog who has a favorite person. Libra: A cat who's traveled the world. Scorpio: A teenage girl who's planning to run away from home. Sagittarius: A baby who learns to talk way too early. Capricorn: A hamster that gets lost in the house. Aquarius: A cranky old man with a secret. Pisces: A four-year-old girl who changes the world. 1- Have you ever had a penpal? I had so many pen pals growing up - it was an amazing way to experience the world before social media. I had penfriends in Canada, Germany, Ghana, France, and loved receiving their letters every month. Hard-working, focused, determined, empathetic, and slightly obsessive! 3- Living in Dubai, have you been at the top (level 148) of the Burj Khalifa? I have! My husband took me there and it was an incredible sight from the top. It doesn’t explain why I’m a writer but feedback is so important to me. I had one reader message me to say that she hadn't read for so long as she was so busy working and looking after her children. She told me that she enjoyed The Good Mother so much that she's now determined to get back into reading again and making a little time for herself again. It’s stories like this, that make all the hard work worthwhile. I'd love to be able to tell you the answer to that - there's never been one moment or incident. Since I was a child, I have always written; diaries, stories, letters....it's more of a need. It doesn't quite make sense to me either! 6- Do you ever get recognized/identified in public as being on the "Ahlan’s Hot 100 People" 2017 edition? No, however, that was a great moment and the photo shoot was a lot of fun. To be recognised as contributing to the UAE's cultural landscape was a great honour. 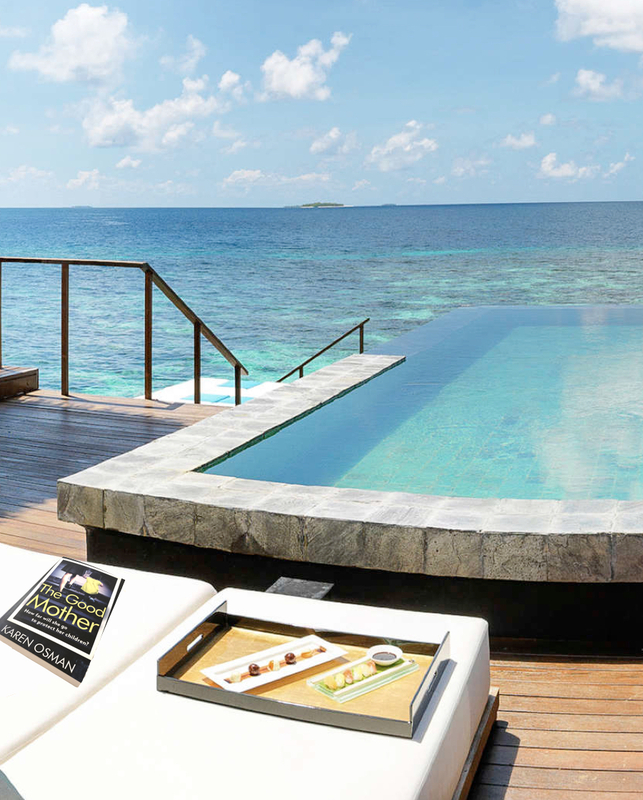 7- Would you share a picture with us of your book surrounded by luxury? I currently have a three-book deal with Head of Zeus and currently working on my second book. I have a goal to have a first rough draft written before Christmas and ready to send to my editor early 2018. That person is my husband. When I asked him this question, he replied: "Knowing the circumstances in which you wrote it." He is referring to the fact that I was pregnant with my second son and very tired looking after my toddler! 10- What emotions do you hope your book will evoke for the reader, and is there a particular scene you hope will resonate with readers? The theme of motherhood is present throughout the book and I'm sure some of the scenes will resonate with mothers everywhere. But for me, books have always provided an escape - a chance to relax from work or obligations and I hope The Good Mother does this as well. 11- In your opinion, is it better for the average person with a small budget to engage in experiential travel or transformational travel, and why? 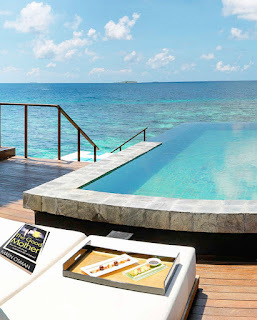 Any type of travel in my opinion is worth doing – you can always discover something new about yourself. My editor, Sarah Ritherdon – she’s fantastic and I really admire how she can take a manuscript and improve it. 13- Did you have other titles in mind for the book before it went to publication? Yes, the original submission for The Good Mother was called Dear Michael. 14- What is the most memorable trait or visual oddity of one of your characters? The colour red is mentioned a few times in The Good Mother for different characters and is a symbol of danger. 15- #DiversityBingo2017 What's your favorite book that covers a square on the card? 16- Which character has your favorite Personality Contradiction? All three characters – Catherine, Alison, and Kate have personality contradictions and it’s difficult to choose one. Probably Kate though – she loves her children and wants to be a good mother but feels frustrated at the same time. 17- Can you think of any small change in the world you could make to benefit hundreds of other authors or readers potentially? It’s not a small change but using libraries regularly and supporting book shops is my way. 18- As a reader, what most motivates you to buy a new book to read? It depends on the situation but usually the description on the back of the book is the deciding factor for me. 19- How will you measure your publishing performance? As a debut novelist, I have had tremendous support from my agent and publishing house, not just writing the book but also promoting it. I will measure commercial success mainly by book sales and feedback in the market. 20- What was the deciding factor in your publication route? This was mainly taken out of my hands as I won the Emirates Airline Festival of Literature Montegrappa Writing Award. As part of that prize, I had the support of an agent who helped me go down the traditional route of publishing as opposed to self-publishing. 21- What is one question (or discussion topic) which you would like the readers of this interview to answer or remark on in the comments? Can you think of any small change in the world you could make to benefit hundreds of other authors or readers potentially? 22- Anything else you would care to share about your book and yourself? Today, I invite you to read one of my first posts for OA, which was on beta readers. Since I post here on Thursdays, I decided to use my November (aka NaNovember) posts to give all you NaNo writers some fun plot points, characters, and other to incorporate into your works-in-progress if you get stuck or fall into a writing slump. For Week One, find the plot idea associated with your horoscope sign* and go to town! Aries: A tall, dark, and handsome stranger arrives in town. When he removes his hat and coat, your main character realizes he's a [fill in the blank]. Taurus: Your main character cannot live without [fill in the blank]... until they have to. Gemini: Your main character gets into a friendly, yet competitive, game of [fill in the blank] with your antagonist. Cancer: No one understands your main character better than [fill in the blank], so when that person goes missing, your main character has to take action. Leo: A fair/carnival/circus comes to town. Your main character goes, accompanied by [fill in the blank]. Virgo: Your antagonist always wanted to [fill in the blank], but couldn't make it happen. This explains a lot about their motivations. Libra: Your main character looks up [fill in the blank] in the dictionary, and it guides their actions through the next several scenes. Scorpio: Your main character finds an abandoned animal at the side of the road. So your main character [fill in the blank]. Sagittarius: One of your characters slips and falls. Your main character reacts by [fill in the blank]. Capricorn: Your antagonist has a soft spot. It's [fill in the blank]. Aquarius: Someone deeply insults your main character, saying [fill in the blank]. Pisces: Your main character falls ill. Their symptoms include [fill in the blank].